EasyCare and No Anvil, LLC had a very interactive booth at the International Hoof Care Summit in Cincinnati this year. A big crowd is always expected to witness the latest and greatest hoof care products and demonstrations. For the first time, the 2015 IHCS EasyCare/No Anvil booth invited the crowd to jump in. Several practitioners were able to get a hands-on education and try out the gluing protocol for themselves. The top three black smith buddy hooves with the most meticulous application and smoothest appearance were awarded with cash prizes for both the PolyFlex model and EasyShoe model competitors. 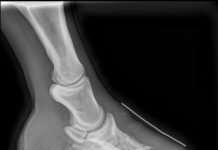 Although several of the black smith buddy hoof entries were sent home with the participants, a few made it back to EasyCare’s Research and Development office in Durango, Colorado. 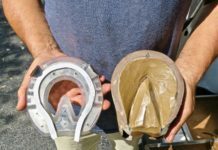 Garrett Ford, inventor of the EasyShoe, sat down with me and compared the hoof submissions to one another. His conclusions are demonstrated below. The heels are lined up evenly on this hoof. The shoe on the bottom has been rasped for a more aggressive breakover, whereas the top shoe is barely touched with a rasp. 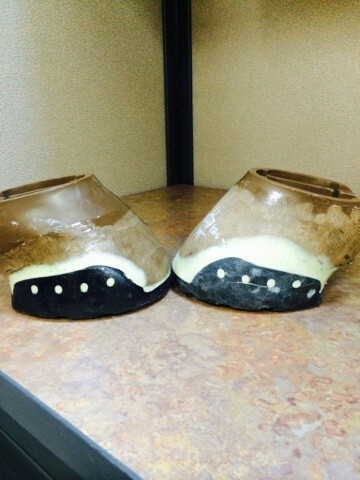 The hoof on the left shows glue that is diluted by too many CS crystals. Only 1/4 teaspoon is needed per 2 ounces of glue. 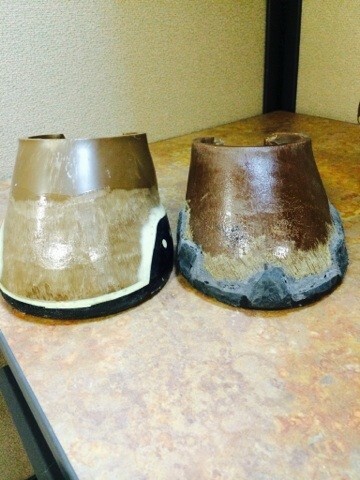 The hoof on the right shows glue applied over an inch above the cuff of the shoe, while the shoe on the left only a 1/4 of an inch. 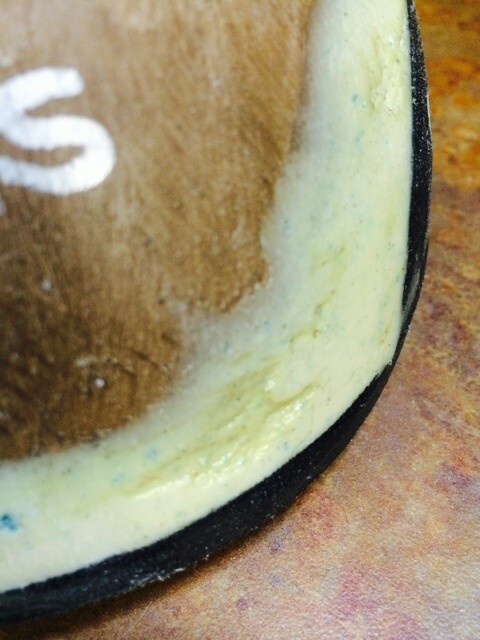 The drawback in having glue to high on the hoof wall is that the glue smothers the hoof in areas where the hoof should be allowed to breathe. 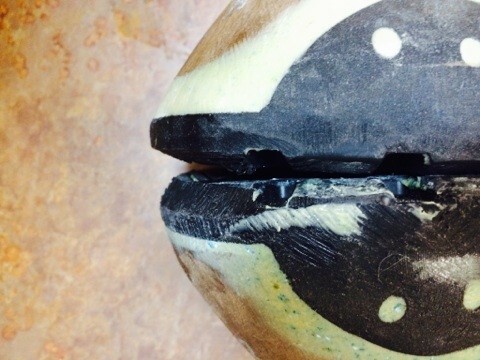 It’s important for the heel application of the shoe to be seamless from hoof to glue to shoe. 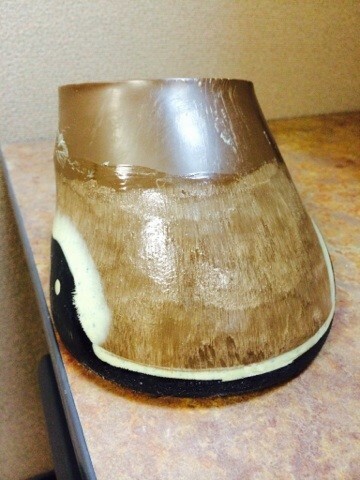 The shoe below is a great demonstration of how the heel should appear after application. 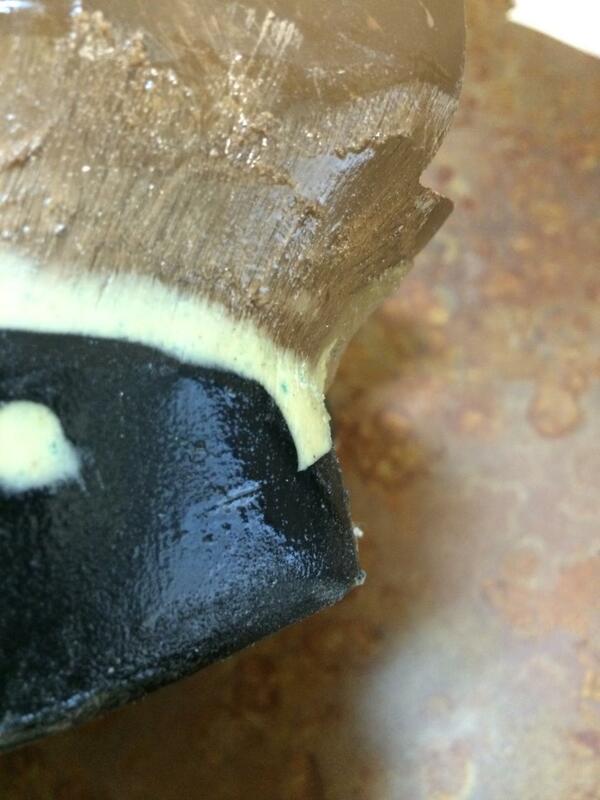 You’ll find parts of the finished product appearing like this if the glue sets before it’s on the hoof. 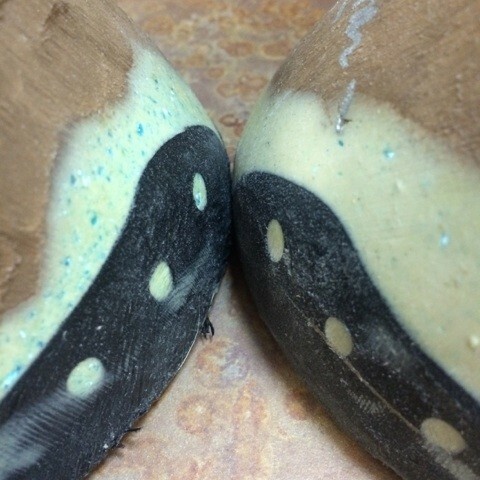 It not only provides a pretty, shiny finish, it seals the deal of the bond between shoe, glue and hoof. You can purchase the Super Glue product of recommendation by visiting the Polyflex Horseshoes site here. 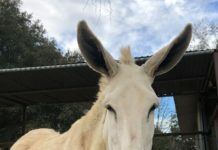 Check out a side-by-side shot of Garrett’s Blacksmith Buddy hoof from the 2014 International Hoof Care Summit and his beauty from this year. Leaves the mind wondering what exciting things the year ahead may gift the horse community with. Please contact us with any questions you may have regarding the EasyShoe, it’s application, and how to customize it for your horse’s particular needs.